The Apache® Eagle is a 5-occupant, sit-down, sleek low-profile bird of prey. 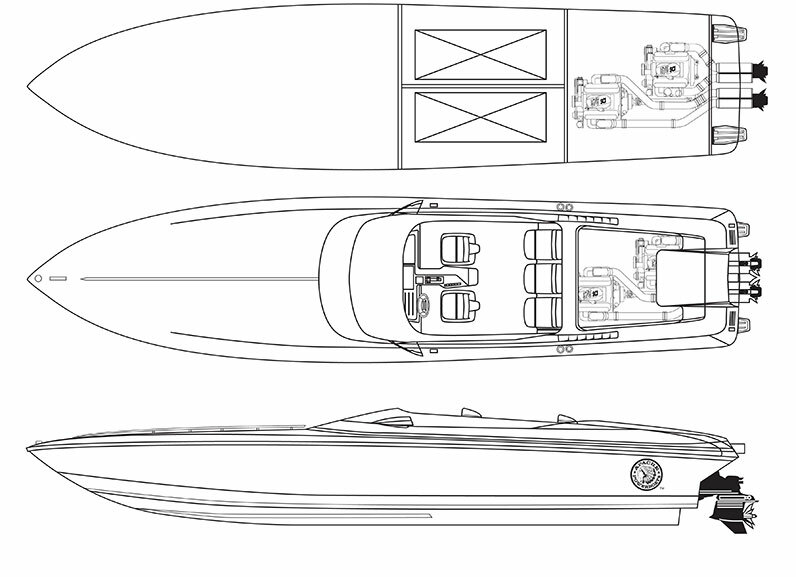 Its low profile means quicker acceleration, dependability and less engine stress when soaring above the high seas. 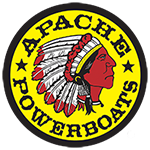 The Apache Eagle’s 225–gallon fuel capacity and twin staggered engines make this the perfect day boat. With its rough water capability, this is an Eagle with an attitude! Caution: The transparent engine hatch alerts your competition that this boat is no sleeper! Twin Mercury Racing with 700 HP DRYSump M6 Out drives.